New Canopy by Hilton Reykjavik City Centre hotel opens today, marking the brand's global debut. The 112-room property is centrally located in the Icelandic capital, close to the Harpa Concert Hall and Convention Center, as well as the city’s main shopping, eateries and pubs. There is an event space for up to 50 delegates, while eating and drinking takes place at the Geiri Smart restaurant, offering local fare such as fresh fish and organic vegetables. Guests can also eat at the delicatessen, coffee shop or in the garden. Complimentary beer and wine tastings are also run in evenings. With a design focus, the hotel uses local influences and natural materials – shades of ocean blue and grey volcanic rock – across both the architecture and interiors, while its Poets’ Corner and LP Library will appeal to groups made up of culture vultures. From October to March, the hotel promises that guests can ‘watch the stunning Aurora Borealis or Northern Lights’ from near the property, as well as Iceland’s famous midnight sun during summer. Active groups can make the most of a 24-hour fitness centre or complimentary bicycles to explore recommended local routes and trails. Gary Steffen, global head at Canopy by Hilton, said: "Reykjavik is unlike any other city on Earth. Its rich heritage and natural beauty perfectly align with the ethos of the Canopy by Hilton brand. 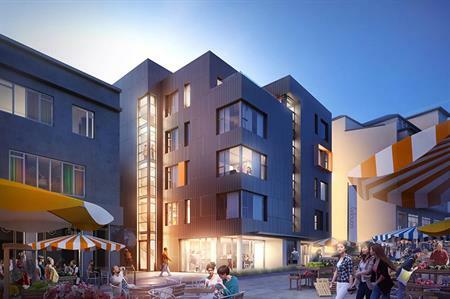 We are thrilled to open the doors and begin greeting adventurous travelers searching for a unique experience to this city centre neighborhood in Reykjavik."